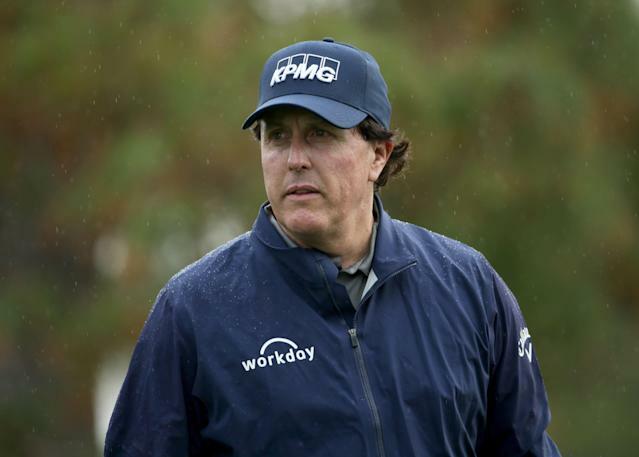 PGA Tour pro Phil Mickelson said on Thursday that his family hired the tutoring company at the center of the college admissions scandal that has wrapped up Hollywood actors Lori Loughlin and Felicity Huffman to help his children in the college admissions process. He denied participating in the alleged fraud perpetrated by William “Rick” Singer’s Key World Foundation described to wealthy parents seeking his services as “the side door” to college admission. Loughlin and Huffman have both been indicted and arrested on fraud charges related to the $25 million scandal for allegedly paying bribes to get their children into elite universities. Loughlin is accused of paying $500,000 to have her two daughters designated as recruits to the USC crew team even though they were not crew athletes. Huffman stands accused of paying $15,000 in the guise of a charitable donation to have her and her husband William H. Macy’s 18-year-old daughter Sophia’s SAT answers corrected in a “controlled” testing environment. Shortly after Mickelson announced his ties to Singer, NFL Hall of Fame quarterback Joe Montana did the same in a similar statement on Twitter. Mickelson expanded on his Twitter post after Thursday’s round at The Players Championship, emphasizing that he did not participate in fraud or make any illegal contributions. Mickelson’s oldest daughter Amanda is a sophomore at Brown University. His younger daughter Sophia and son Evan are in high school. He told reporters that he hired Singer on the recommendation of friends. Singer pleaded guilty on Tuesday to charges of racketeering, money laundering, obstruction of justice and conspiracy to defraud the United States. Mickelson reiterated that he and his friends were all surprised at the charges facing Singer.